The Service Center, which serves customers in Northern and East Central Illinois and Northern Indiana, officially opened for business in September 2017. 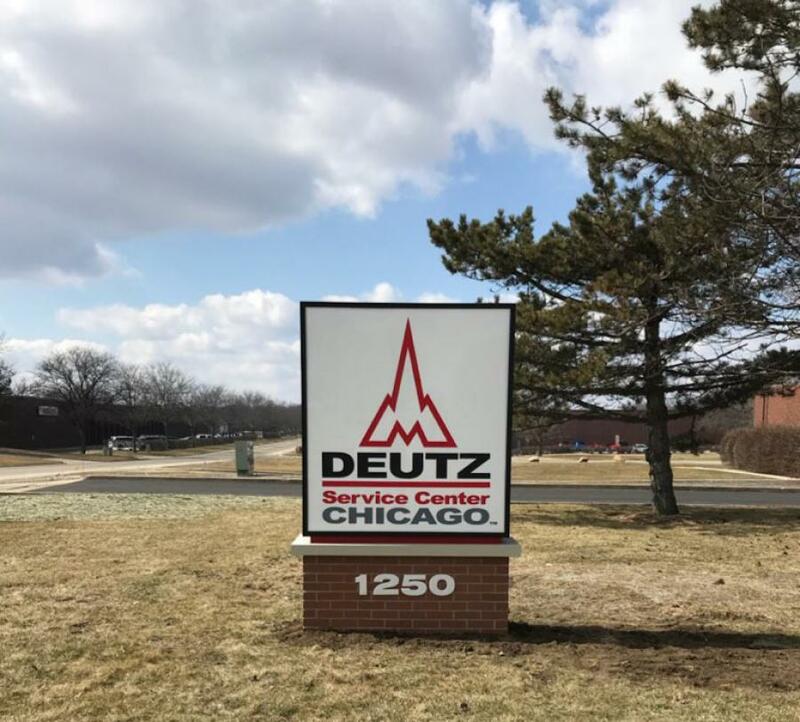 Deutz Service Center Chicago will host an open house at 1250 Davis Road, Elgin, IL, on May 16, 2018, from 10 AM to 5 PM. The Service Center, which serves customers in Northern and East Central Illinois and Northern Indiana, officially opened for business in September 2017. Between the hours of 11 a.m. and 2 p.m., open-house attendees will enjoy a free lunch catered by Portillo's restaurant. Attendees also will have the opportunity to tour the new facility and meet the dedicated Deutz Service Center staff who are ready to handle all their service, parts and new engine needs. Deutz Service Centers provide regularly scheduled maintenance and emergency service of new Deutz engines and Deutz Xchange remanufactured engines, either at the service center location or at the customer's site via traveling service technicians. Service centers also feature fully stocked parts counters with both new Deutz Genuine parts and Deutz Xchange parts for faster repairs with less costly downtime. Individuals interested in attending should RSVP by calling 224/276-6550 or going online at https://www.deutzsupport.com/dsc-chicago-open-house/.